Adrienne received her B.A. in Music with a Vocal Performance emphasis from Missouri Western State University in her hometown, St. Joseph. While a student there, she had several incredible opportunities to perform both nationally and internationally. 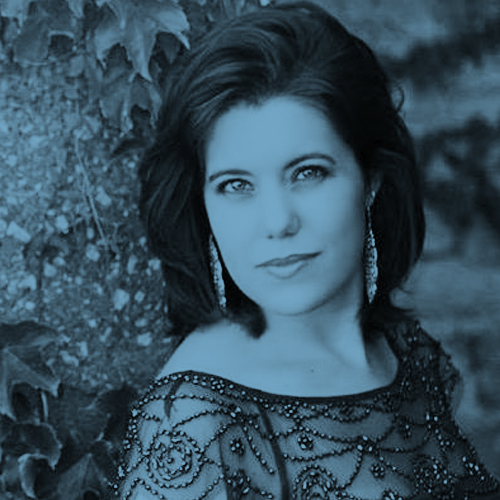 Some of her accolades include first place in the National Association of Teachers of Singing competition, the youngest finalist to advance (competing against performers with their doctorate) in the prestigious George London Competition, and performing with Manhattan Opera Studio at the National Opera Center in NYC. She was also selected to appear on the reality show 100 Things and was flown to France to sing at the Strasbourg Opera House. Adrienne has had a love for musical theater and acting since she was young, and has enjoyed roles such as Dorothy in The Wizard of Oz, Stella in A Streetcar Named Desire, Cosette in Les Miserables, and Johanna in Sweeney Todd. She has served as music director for Thoroughly Modern Millie, Beauty and the Beast, and as director for Godspell. In the midst of all the productions, Adrienne’s first love is songwriting. She has been playing piano since she was three-years-old, the majority of her training coming from her mom (also a music teacher). In high school, she discovered her strengths as a pianist and taught herself to read chord charts which led to being able to create and improvise. She loves to cover and re-imagine pop songs, but has very strong roots in the classical method. She is forever grateful for the four semesters of music theory in college, which led to a greater understanding and appreciation for the structure of music. She is passionate about helping students learn to sightread, understand rhythms, etc., but also a fan of developing her student’s confidence to play by ear. Currently, she enjoys leading worship at her church and small group where she can get into the “flow”. Teaching (and wedding planning!) takes up most of her time, but she loves to dive deep into writing songs with hopes to produce an album in the near future.